Bookings and advanced payment for this course are essential as places are limited. Bookings can be made via email, in person at Yoga on Rochford or over the phone with payment by bank transfer. For more information contact Chris via the website contact form or on 0424 459 696. 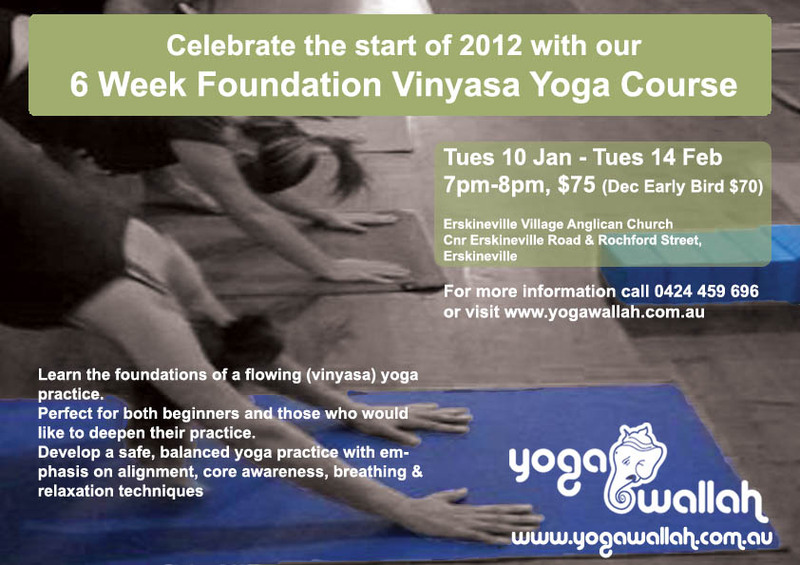 Long Weekend Class this Saturday 9am with Dynamic Vinyasa Flow @ Erskineville Village Church…. Bookings and advanced payment for this course are essential as places are limited. Bookings can also be made in person at Yoga on Rochford or over the phone with payment by bank transfer. December early-bird special price available until 5pm Friday 30th December.